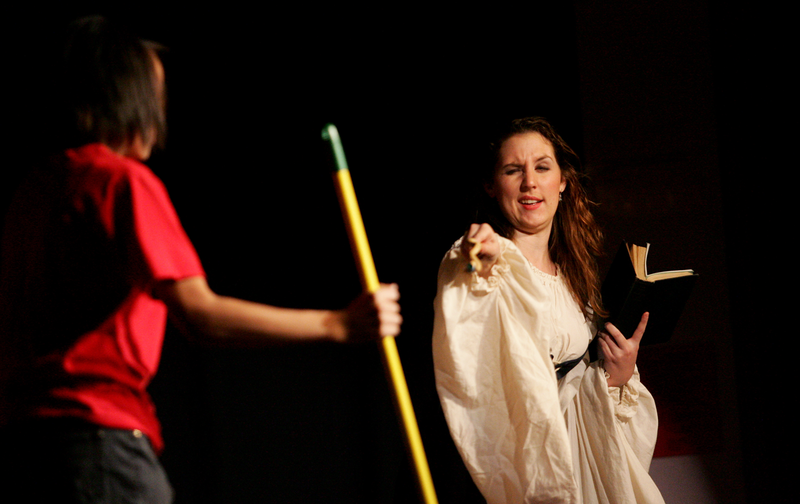 Fairy Godmother, played by CCMS teacher Whitney Christansen, shows Cinderella her powers. 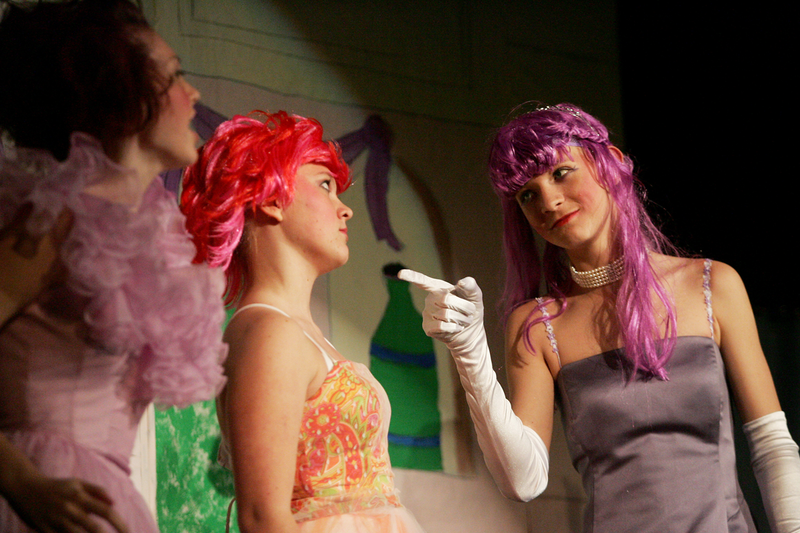 Stepsister Frump, played by Tre Burgin, right, talks to her sisters. 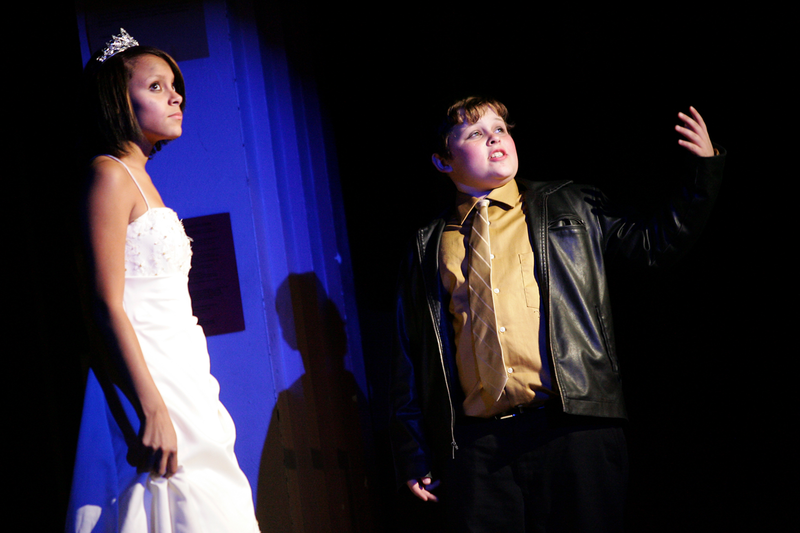 Prince, played by Logan Underwood, talks to Cinderella, played by Kiana Benhoff, about the stars. 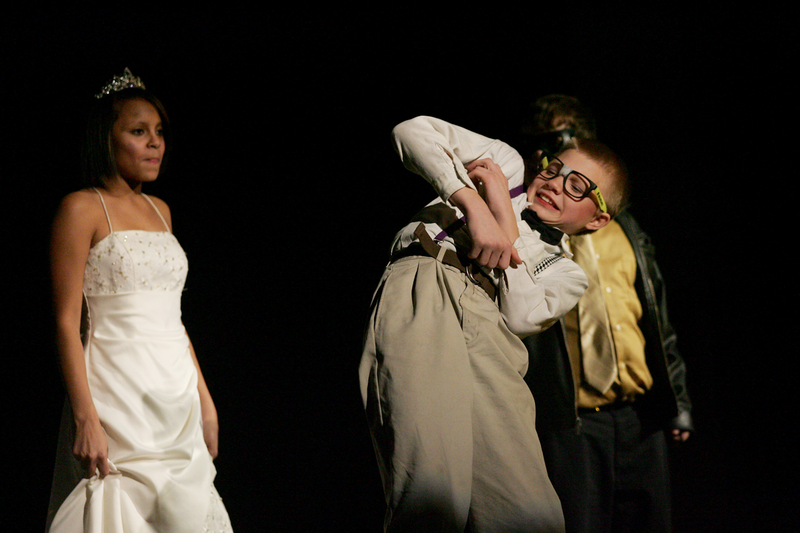 Duke, played by Josh Beach, reacts at the sight of the stepsisters. 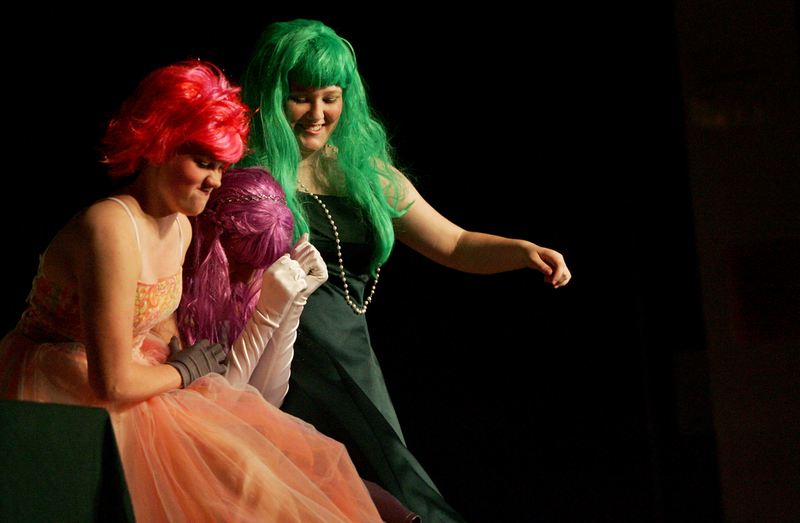 Matilda, played by Cori Green, left, Frump, played by Tre Burgin, middle, and Griselda, played by Alicia Crouch, right, fight over the water to soak their feet in after the ball.